Tri-State Flame Hardening Company is Detroit's premier flame hardening and straightening manufacturing company who only works to the highest standards and quality in material and workmanship so as to create customer satisfaction and loyalty to our services and brand name. Sincerity brings credibility, self respect, and a clear conscience. Facing new demands by providing proven customer dedication combined with the very best material and workmanship. Doing it right the first time. Pursuing the highest quality possible - Perfection. Accepting any challenge with teamwork and dedication. 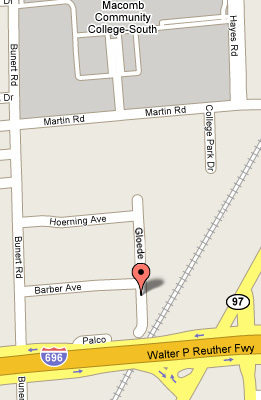 Our location is just south of Macomb Community College South Campus with easy access to I-696.